Craving to create some appliques that are unlike any other? Thanks to Kay Mackenzie and That Patchwork Place, an imprint of Martingale, you can learn how to fuse and patch your scraps into applique designs. 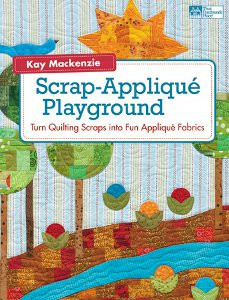 Eight whimsical applique patterns can be at your disposal when you own Scrap-Applique Playground, the object of our latest and scrappiest book giveaway. Published in 2012, this crafty collection soared easily to prestige among the sewing and quilting community. The reason for this book’s success is that it features designs for both novice and pro sewists. Apart from the accessible instructions in this book, Mackenzie has considerately included templates for featured applique shapes, making it easier for you to understand exactly how to make an applique. You won’t be at a loss over how to make a bird, apple, or even sun ray thanks to the goodies in this book. These templates allow for stunning detail in your applique designs. So if you’re seeking to add a totally unique block to your quilt or want to sew up a personalized wall art for a newly wed couple, this book will arm you with the proper tools to create effectively. Face it: there’s too much monotony when it comes to store-bought designs. Don’t settle for boring gifts or home decor just because it’s all you can find at the department store on sale. Invest a little time into creating your own pieces and you’ll have much more fun and style than you’re used to. This is a must-have for all sewists, quilters, and overall crafty people out there so don’t miss this opportunity to win your own free copy. Interested in Learning More about Scrap-Applique Playground? Click here to read the full review of Scrap-Applique Playground. 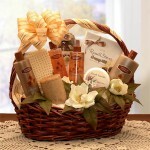 The contests ends on July 8th so be sure to enter here. You can enter once a day, every day, so come back often to increase your chances of winning this fabulous find; good luck! What’s the most unusual thing you’ve made from scraps? 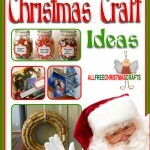 This would be great to help my grandchildren be more creative with fabric. Thanks for the Giveaway! This book looks like a great solution (and FUN) to all my fabric scraps. I would love to win it!